The Law Journal recently launched Extra Legal, an online venue for articles written by NUSL students on a variety of compelling topics, which will be published periodically throughout the quarter. 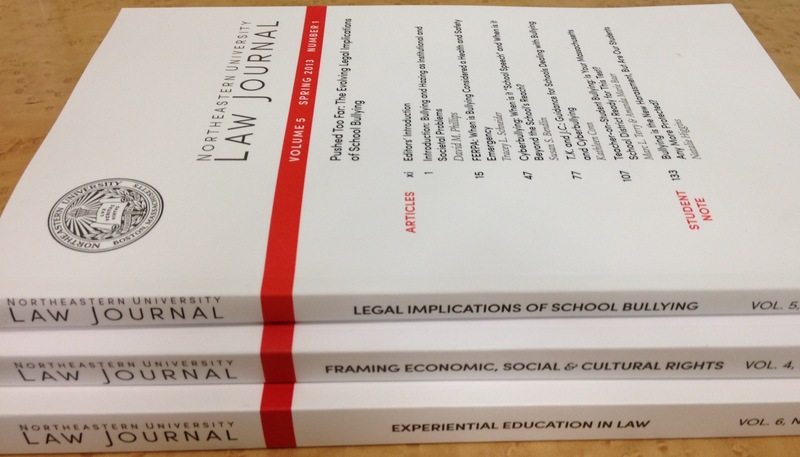 You can also access PDF files of the print edition, including the most recent volume, Experience the Future: Experiential Education in Law (Vol. 6, No. 1 – Summer 2013). This entry was posted in Caitlin - Office of Admissions, Staff and tagged Education, Law, Law Journal, Law school, Northeastern University, northeastern university school of law, NUSL. Bookmark the permalink.